The development of technology and its applications are making roads ‘Smart’ and fit for the future. We are entering a period that promises a step change in road operations. Intelligent Traffic Management Systems enable the safe & effective movement of people, address safety, congestion, and journey-time reliability amongst other things. TrafficInfraTech spoke to a few Traffic Police officials to find out the various traffic safety management systems being put in place. Traffic management has always posed a challenge in India and it may continue to become more difficult with every passing day unless we start building some intelligence into the way we look at resolving these issues. The solution lies in leveraging advanced technologies and intelligent solutions. Some intelligent traffic management systems are already being implemented in cities like Delhi and Bangalore making an impact in the form of reduced congestion and less fatal accidents. Other cities are likely to follow suit soon. Intelligent Transport System is essentially the application of computer and communications technologies coming in aid of the transport problems. 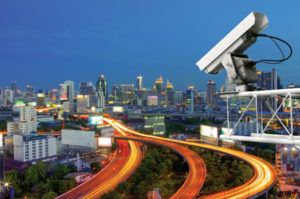 This may involve use of CCTVs in strategic junctions, vehicle presence detectors, in-road magnetic loop detectors and other remote video surveillance devices to assure automated control in good or bad weather and in varying traffic volumes. Based on real-time data and historical data, the traffic management system alters traffic signal cycles in real time, based on the in-situ sensors or surveillance devices, to respond to changing traffic conditions. Recently Maruti Suzuki India Limited joined hands with the Delhi Police to implement a Traffic Safety Management System (TSMS) in the national capital. The TSMS will be set up along the Ring Road corridor from Dhaula Kuan to Sarai Kale Khan, a stretch of around 14-km. A Memorandum of Agreement (MoA) has been signed between Delhi Police and Maruti Suzuki India Limited, the first of its kind in line with the Union Government’s focus to make roads safe and bring down accidents and fatalities. 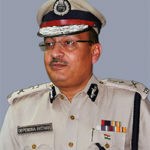 Dependra Phatak, Special Commissioner, the Delhi Police explains, “The objective of the City’s Traffic Safety Management System is to reduce accidents & fatalities, improve compliance of traffic rules, strengthen & bring transparency in enforcement by e-Challan system and bring awareness about commuter safety and surveillance of traffic movement. I am confident that a successful technology model in the capital city will encourage its adoption in other parts of the country and make our roads safer. The Delhi Police, which has been thinking far ahead of us in the area of Intelligent Traffic Management has already given us much guidance on the technology and its execution. Maruti Suzuki will set up the Traffic Safety Management System and maintain it for two years. The commencement and operation of the TSMS will be under the charge of the Delhi Police. “Last year around 1,495 people lost their lives to road accidents in Delhi, among the highest in the country. With an automatic and objective system in place, it is expected to instil discipline among road users. Maruti Suzuki will spend nearly Rs 15Cr on this project which is likely to be operational in the next one year. In addition, the company and the Delhi Police also plan to engage with academic institutions and social groups to spread awareness on traffic enforcement systems and safe driving practices in the national capital,” added Phatak. The 10 junctions on 15km stretch on the Ring Road will be equipped with 100 high resolution cameras. The 3D HD radar system will assess the traffic volume on a signal and accordingly the signal cycle for the next signal will be determined. The Delhi Police at present has a robust cyber link that will ensure the efficient working of smart traffic system. The Hyderabad Traffic City Police is going for total technology interventions. The city police has brought in total noncontact and cashless challan system by which the driver is not stopped for traffic violations. The police personnel only take photographs of the violators and the system automatically generates challans which are sent to their addresses. The violators can make payments through different payment gateways like eSeva, Mee Seva and through net banking. The Hyderabad police will be launching Intelligent Traffic Management System very soon. Algorithms are developed to integrate into their existing signal system for signal timing optimisation. It helps in automatically adapting to the timings in various arms and the green or redlight changes as per the traffic volumes. Secondly, the system detects violations like red-light signal jumping, stop-line jumping and wrong-side driving. It also recognises number plates and automatically generates challans on violations. The system helps in priority tracking, so ambulances & fire brigade are automatically identified, and then green signal is given in the corridor. It gives information to VMS boards or wherever there is a congestion, and automatically sends messages to VMS boards to take different alternate routes. It also helps drivers and commuters to take alternate routes during big events, like Ganesh processions, to reach their destinations.